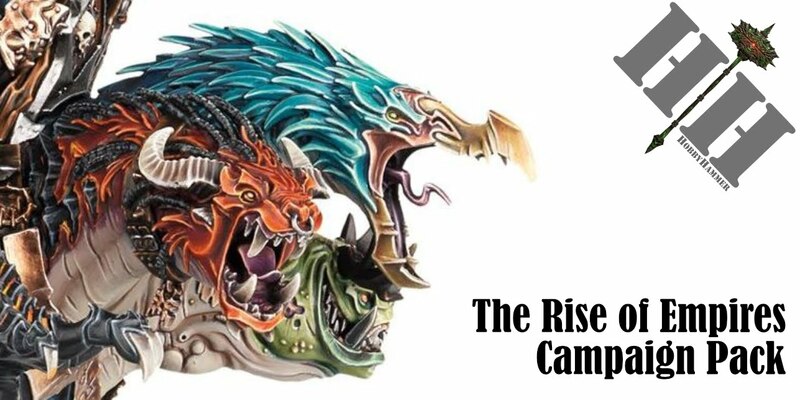 Hi Guys, in this post I shall be detailing how we as a club will be changing Coalescence into a Skirmish Event instead. 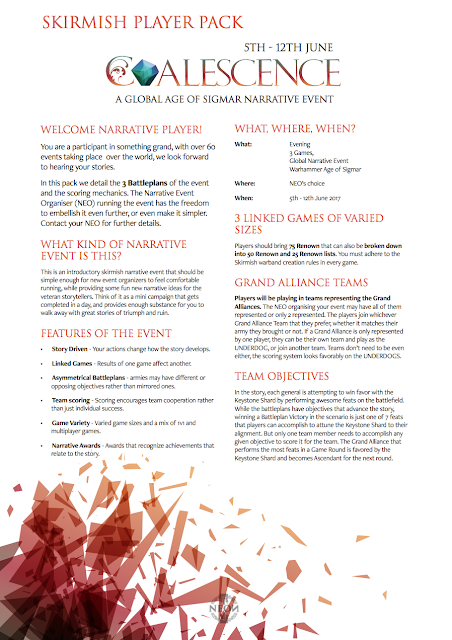 We aren't able to all do a full Saturday but we can do a Tuesday eve regular games night event, so here is how we changed the Event pack to play Skirmish instead. 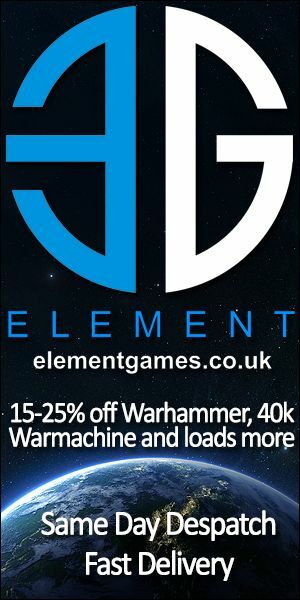 We thought as we are creating a Skirmish edition Event pack, we may as well share this to the world too. I can see a lot of clubs being in the same boat as us, not being able to participate on the 10th but as they hold a regular games night weekly, a club night would be better suited to play the event at. The first step was working out how many Renown points we were going to use instead of standard points. I decided that 75 Renown is a pretty good number for the overall event and will give people a good amount of toys to play with whilst still giving us fairly quick games. Once this was worked out, all I really had to do was adapt the table plans to show 4x4' instead of 6x4' and make sure that the battle plans didn't cause any conflict with the slimmed down model count. (It didn't by the way). To me this shows straight away just how flexible this Skirmish game is going to be. 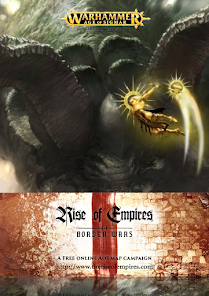 Of course instead of using Command Abilities and Artefacts from the GHB, you should instead use the recommended ones in the Skirmish rules pack. I have attached the new Coalescence - Skirmish Edition Event pack below, if you can't partake on the 10th June but want to get involved. Why not do what we are doing and use a club night the week before to play this Skirmish event. It should only take about 3-4 hours to complete the event and your results will still go towards the overall Coalescence Scores.